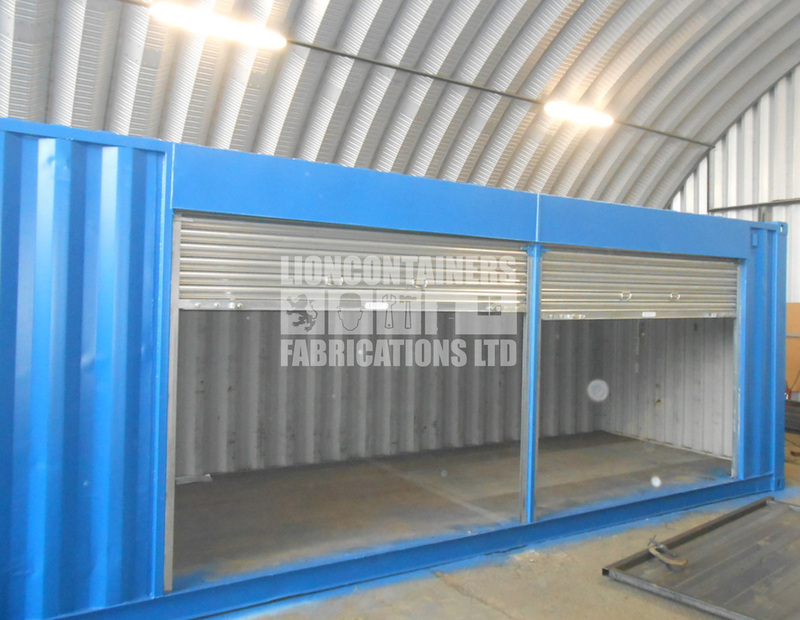 Lion Containers (Fabrications) Ltd have experience of a number of container conversions design and build projects across the country. Working with you to create a bespoke specification to meet your needs using our extensive knowledge of containers and associated materials. Full drawing packages including renders and plan drawings for your approval. Liaising with suppliers and manufacturers and purchasing items on your behalf for a full turnkey solution. The delivery and commissioning of goods when required. Regular on site design and progress meetings. The ability to be completely spec compliant. 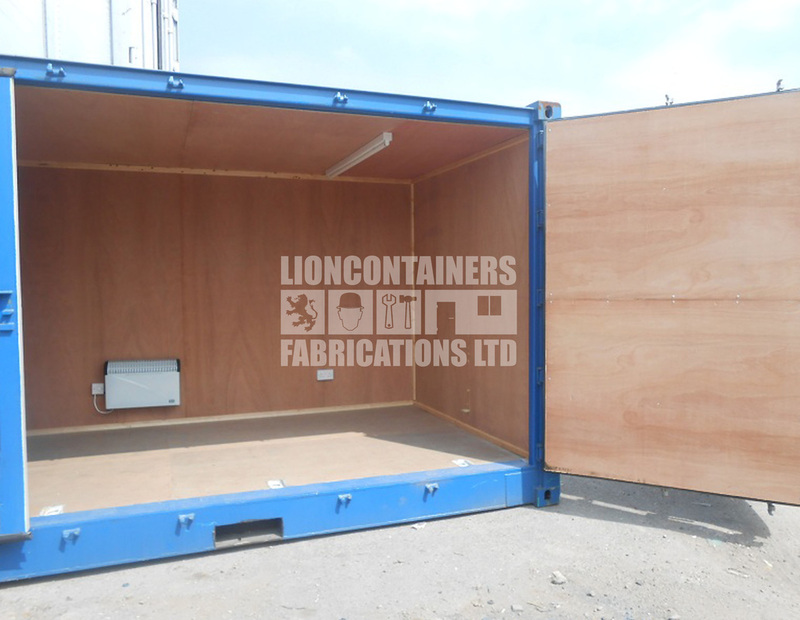 Lion Containers (Fabrications) Ltd employees have years of experience which are successfully applied to your project in order to make sure that the final product fits your application perfectly. Our previous customers include local authorities, the Ministry of Defence, retail companies, exhibition companies, schools, leisure facilities, national broadcasters, design and marketing agencies, shipping agencies and many more. Lion Containers (Fabrications) Ltd have converted containers for a wide variety of uses from canteens, offices and toilets to bars, multi stores and biomass boiler housings. We can convert a simple container into a fully functional area by installing anything from hatches, windows and doors, and partitions to air conditioning units, heating, and insulation. We have the expertise available to completely project manage your development depending on the experience you have and the input you require. Shipping container conversions can utilise both new and used 10ft, 20ft and 40ft ex-shipping containers, although, Lion Containers (Fabrications) Ltd recommend the use of new containers in most instances to achieve a polished end product, unless of course you seek the industrial look offered by used containers. 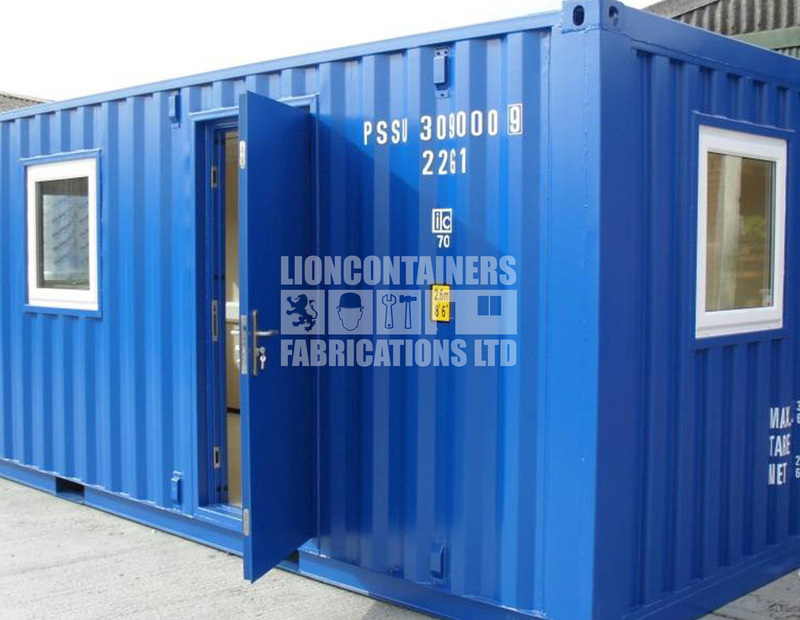 If a shipping container does not fit your brief, Lion Containers (Fabrications) Ltd have the capabilities to build your container from the ground up to your bespoke requirements. Containers are easily stacked and linked to make larger, modular units. 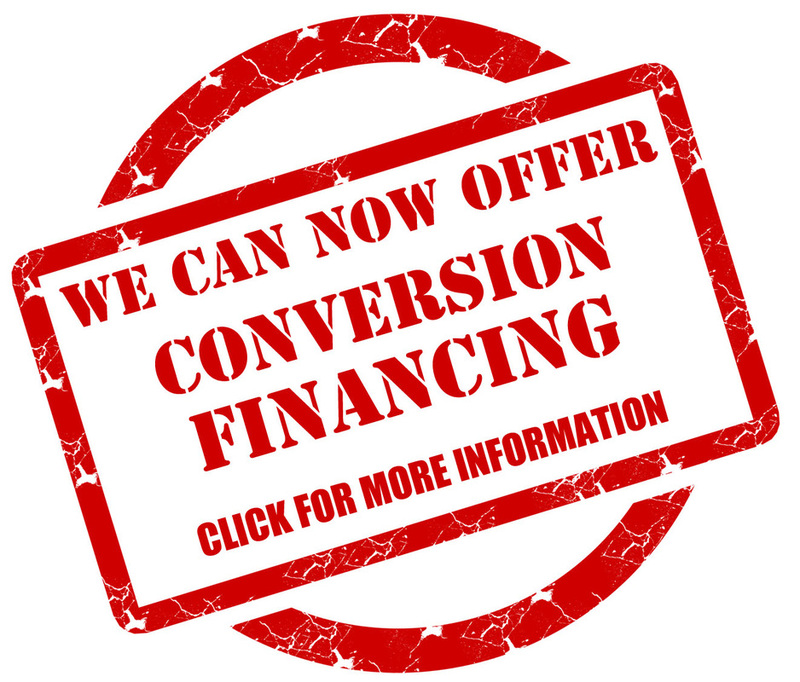 For more information on our conversions call us today on 0333 600 6260.